LMAC Photography encourages all brides and grooms to shoot an engagement session. This allows LMAC to get to know the bride and groom better and for the bride and groom to have a dry run in front of the camera. It's also a way to practice for the wedding photography. This beautiful bride and groom choose Kent as their bridal party photo location. Kent is located close to Akron, Ohio. This is a beautiful area of Kent where the river runs through the park. This ring bearer stole the show for sure. 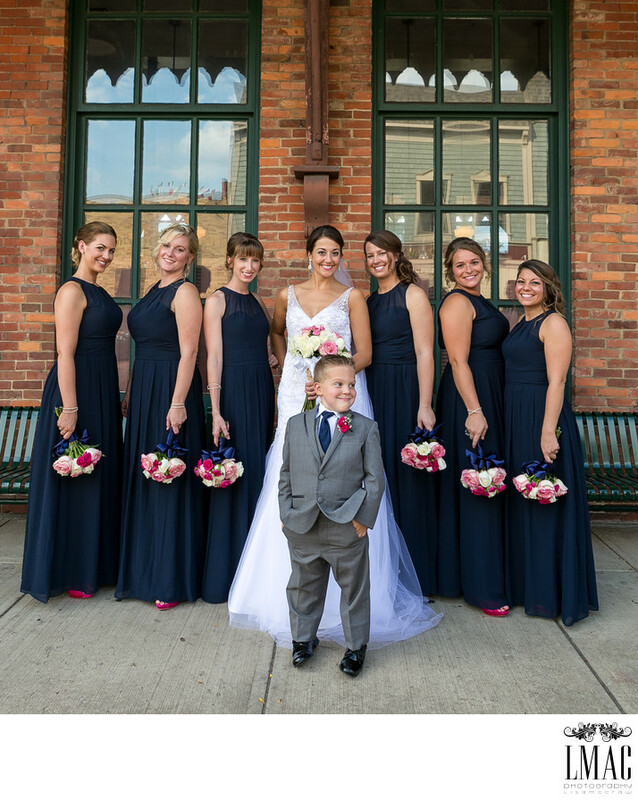 It's always great when the flower girl and ring bearer are included in the location bridal party photos. It's always adds an element of fun to the shoot.